Paper plate crafts are always so much fun! You are going to love the adorable love bird craft that we are sharing today. This love bird craft is perfect as a Valentine's Day craft for kids and easy enough for toddlers and preschoolers to make using just a few supplies. 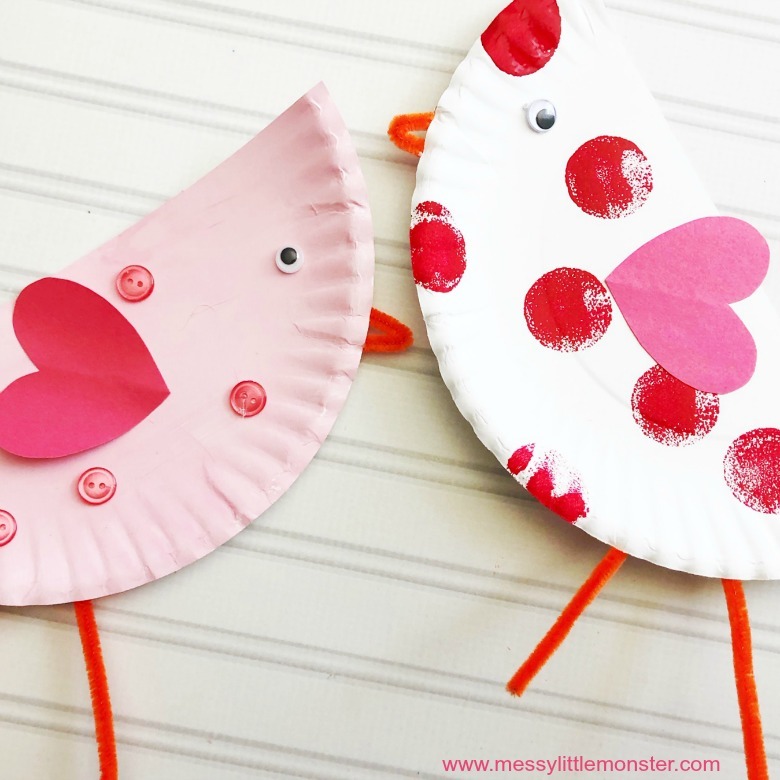 Just scroll down below to see how to make a pair of cute paper plate love birds! 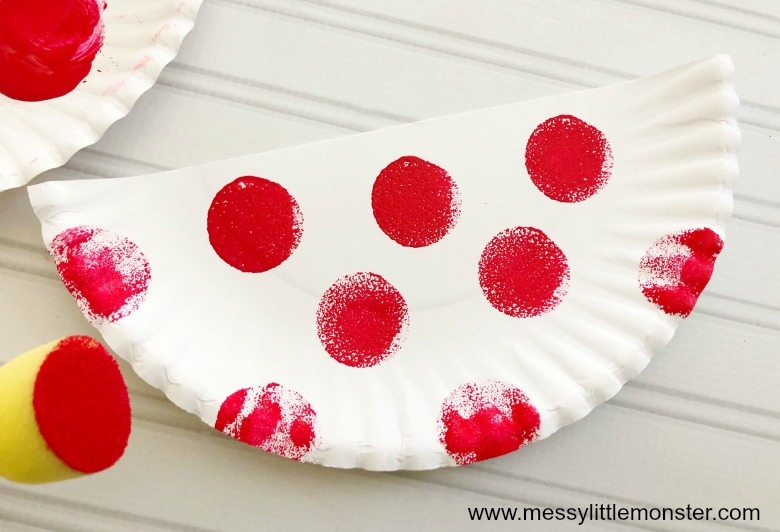 You can't beat Valentine's Day crafts for kids! All the hearts and shades of pink and red, not to mention the many opportunities to talk to children about love, kindness and friendship! I love it all! If you are looking for more craft ideas after making your love birds craft take a look at our collection of Valentine's Day crafts and activities. 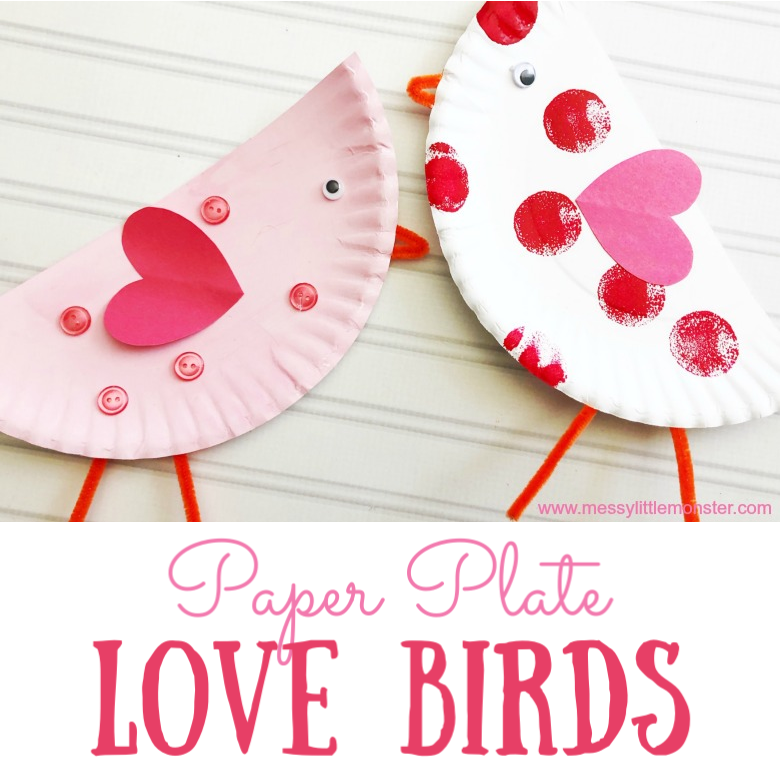 For the paper plate bird craft we are sharing today you can make a pair of love birds using just one paper plate! 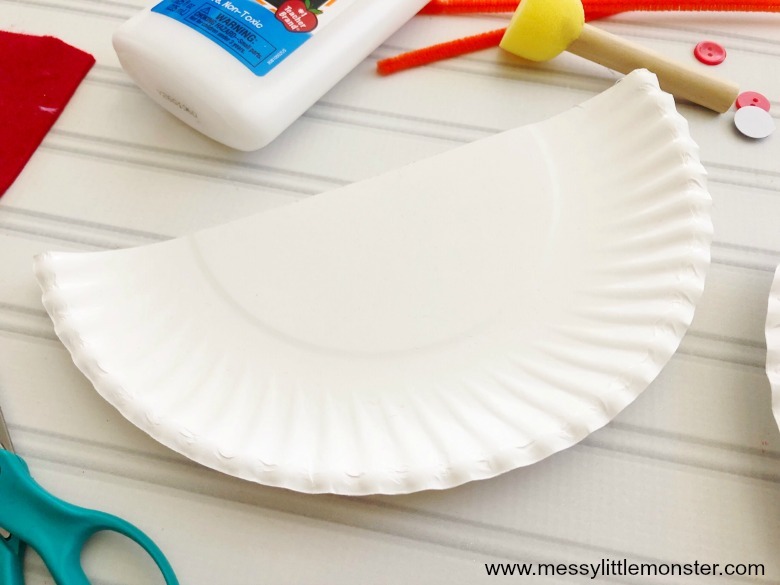 Paper plate crafts are always fun to make, they are easy and often made from supplies you will already have at home! Today's craft is no exception! Scroll down for instructions to make a pair of paper plate love birds! In the supplies list above you will notice we have suggested colours for your paint, paper etc. These are only suggestions. It would be fun to let your child choose their own colours etc to make their pair of love birds! 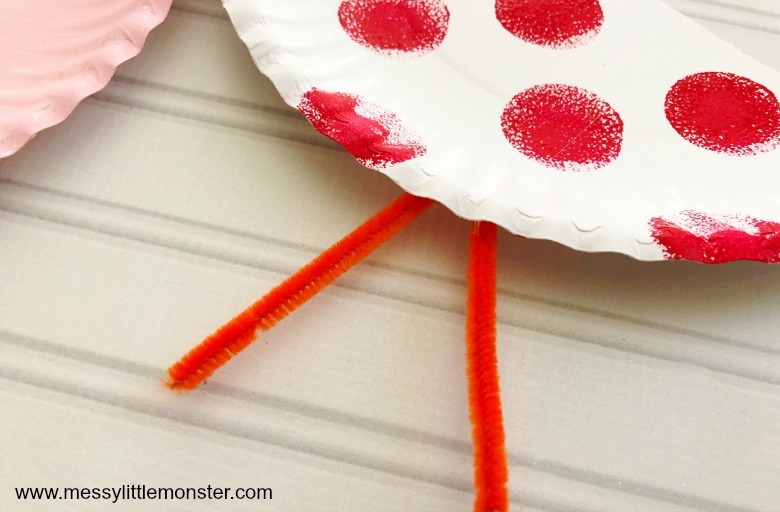 Before you begin to make this paper plate craft make sure you have all your supplies ready, this is especially important if you are working with toddlers or preschoolers. 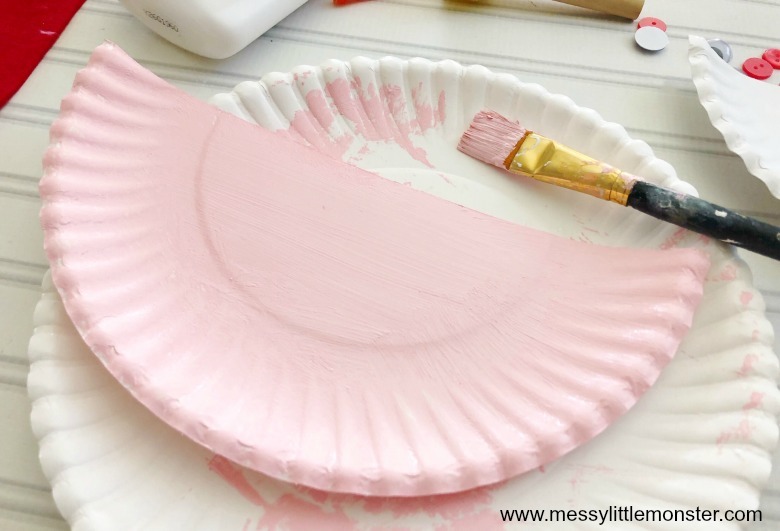 You will need to cut your paper plate in half and squirt your paint on a clean paper plate to use as your paint palette. Cut out small heart shapes from felt or coloured paper to make your love birds wings. Glue the hearts sideways on the plates. Cut a pipe cleaner in half and then bend those pieces in half to create the shape of an upside down “V”. Glue them to the back of your plate to create your love birds legs. To make the birds beak cut 2” pieces off a pipe cleaner, bend them in half and glue them towards the top of the plate. Give your love birds some googly eyes. (We have added one eye to each bird, but you will find if younger children are doing this craft they will tend to want to add two eyes.) Glue on buttons or other craft supplies for decoration and let your paper plate birds dry. There you have it! The perfect Valentine's Day craft for kids! 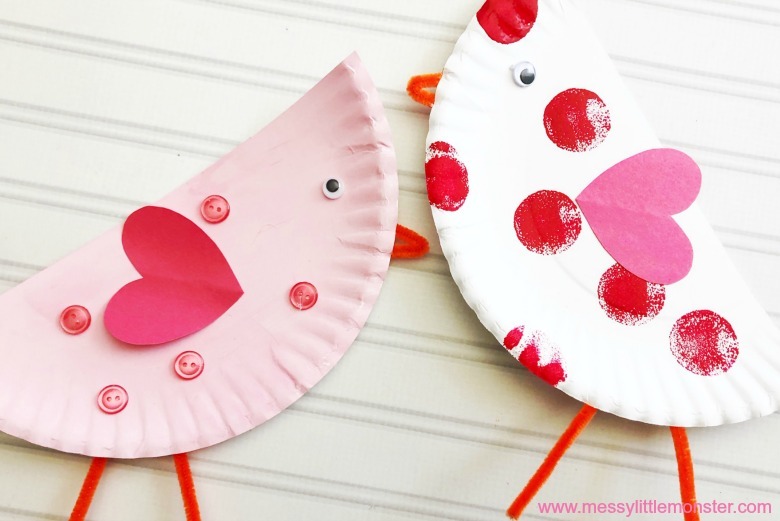 We hope that you have fun creating your own pair of love birds with this fun and easy paper plate craft for kids. 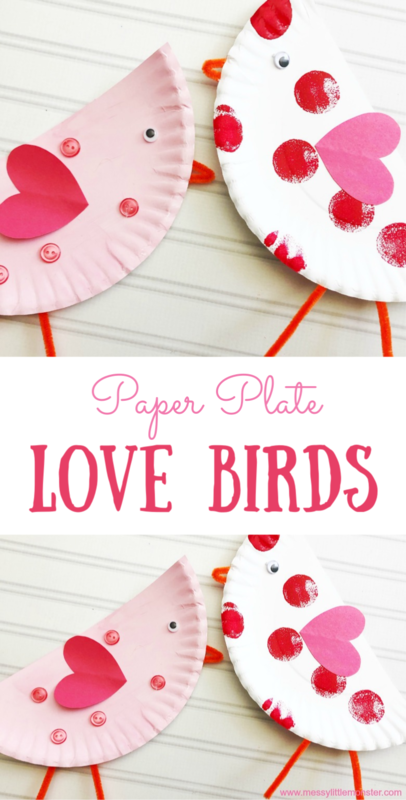 Toddlers and preschoolers would have so much fun getting creative with this paper plate love bird craft. Provide them with a selection of paints and craft supplies and see what amazing love bird crafts they can create!